These eight 1-bedroom apartments, each with its own independent access and balcony, were manufactured and fitted out in our factory in Invergordon. Each apartment took less than 3 weeks to complete and even the pitched roof was manufactured in the factory and then craned into place in a single day. Off-site manufacture has meant that the site works and foundations were constructed at the same time as the modules were being manufactured in the factory leading to a short overall programme. All the apartments were completed and ready for tenants to move into in December 2015. 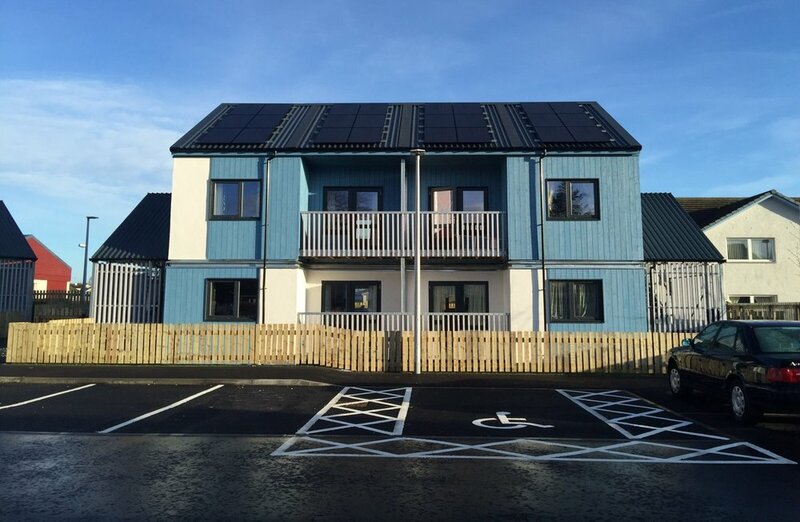 The comfort levels and thermal performance of these apartments are expected to be superb and will be rigorously monitored over the next few years by Edinburgh Napier University.